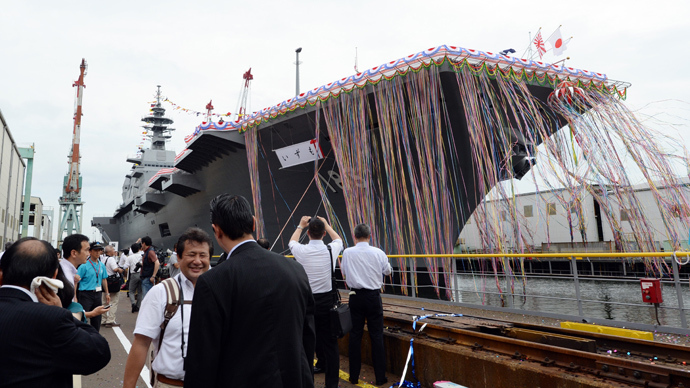 Japan on Tuesday unveiled its new 250-meter-long destroyer, the country’s biggest warship since World War II. The warship, called Izumo, enters service as Tokyo confronts Beijing over a long-standing island sovereignty dispute. The Izumo is designed to carry up to 14 helicopters, and Japan says the warship’s anti-submarine and surveillance capabilities will bolster its national defense. 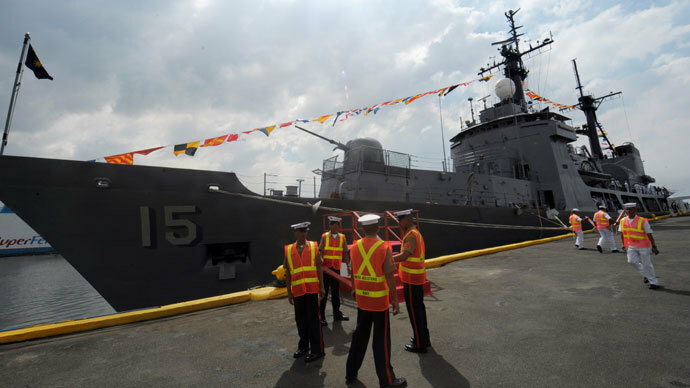 Tokyo is also showcasing the vessel’s potential role in disaster relief, transporting aid workers and transporting emergency supplies to affected areas. The warship has been under construction since 2009, but its unveiling comes at a time of an uneasy stalemate between Japan and China over a border dispute. Both countries are claiming sovereignty over a group of small islands between Japan and Taiwan, which are located in a part of the East China Sea rich in energy and mineral resources. Taiwan also claims the islands, called Senkaku in Japan and the Diaoyutai in China, for itself. The standoff over the islands, which has involved both China and Japan sending military patrols to the area, as well as the increasing military spending by Beijing, have heightened calls inside Japan for the country to review its longstanding anti-militaristic stance, enshrined in its post-war Constitution. Japan’s military policies were changed in 2010 to specifically oppose Chinese influence in the region. Tokyo is expected to present its next policy review by the end of the year, addressing recent changes in the regional military balance of power. In particular, Tokyo wants to bolster its anti-missile defenses and may acquire additional defense capability to strike at other countries’ military bases, the Japanese Defense Ministry said last month. 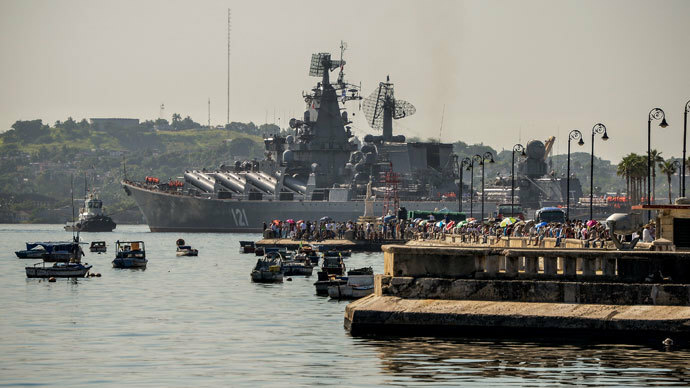 China recently launched its first aircraft carrier, called Liaoning, which it refitted after buying a Soviet-era vessel from Ukraine. Beijing is believed to be building additional ships of the same class based on the experience it got working on the aircraft carrier. Izumo, while technically a destroyer lacking launching catapults or a "ski-jump" ramp on its flat-top deck, may be used in the future to launch fighter jets with vertical take-off capability, some military experts believe. Japan insists it has no such plans, however. In World War II, Imperial Japan had one the best naval forces in the Pacific. As part of the terms of its 1945 surrender to the Allies, Japan’s Constitution does not permit the country to operate aircraft carriers.